Leaving the producer group is justified given big output calls are now taken by Riyadh and non-member Russia. Still, spurning a seat at the table is significant. It’s a way for Doha to flaunt gas riches, while implying a Saudi-led OPEC is increasingly chaotic and less relevant. Saad al-Kaabi, chief executive of Qatar Petroleum, gestures as he speaks to reporters in Doha, Qatar, July 4, 2017. Qatar said on Dec. 3 it was quitting the Organization of the Petroleum Exporting Countries from January 2019 but would attend the oil exporter group's meeting this week. Doha said the move to leave OPEC was not driven by politics. 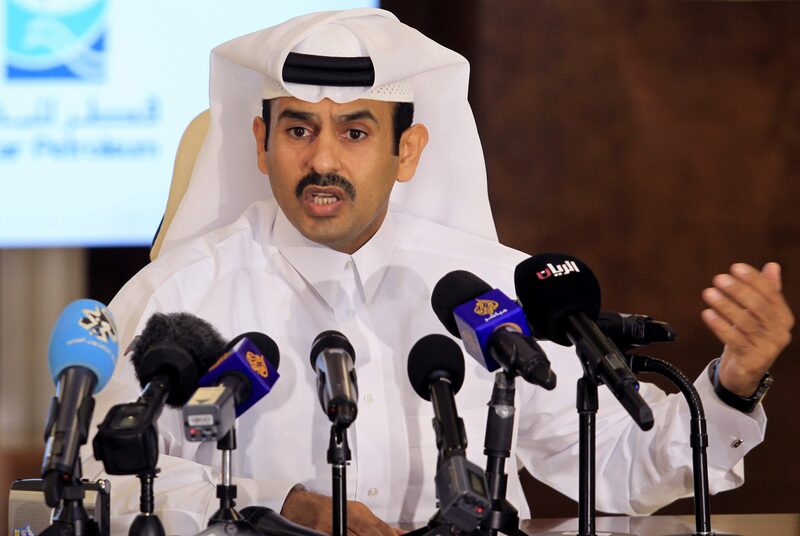 Minister of State for Energy Affairs Saad al-Kaabi told a news conference that Qatar, which he said been a member of OPEC for 57 years, would still attend the group's meeting on Dec. 6 and 7 this week, and would abide by its commitments. OPEC members will meet to decide output policy. “For me to put efforts and resources and time in an organisation that we are a very small player in and I don't have a say in what happens ... practically it does not work, so for us it's better to focus on our big growth potential,” he said. Meanwhile, oil prices rose over 5 percent on Dec. 3 after the United States and China agreed to a 90-day truce in a trade dispute, and ahead of a meeting this week of OPEC that is expected to agree to cut supply. U.S. light crude oil rose $2.92 a barrel to a high of $53.85, up 5.7 percent, before easing slightly to around $53.50 by 0830 GMT. Brent crude rose 5.3 percent or $3.14 to $62.60, before falling to $61.79 by 0913 GMT. China and the United States agreed during a weekend meeting in Argentina of the Group of 20 leading economies not to impose additional trade tariffs for at least 90 days while they hold talks to resolve existing disputes. Oil also received support from an announcement by the Canadian province of Alberta that it would force producers to cut output by 8.7 percent, or 325,000 barrels per day, to deal with a pipeline bottleneck that has led to crude building up in storage.